Whenever you think of the southern United States most people think of the movie Gone With the Wind and plantations, cotton fields, and mint juleps. 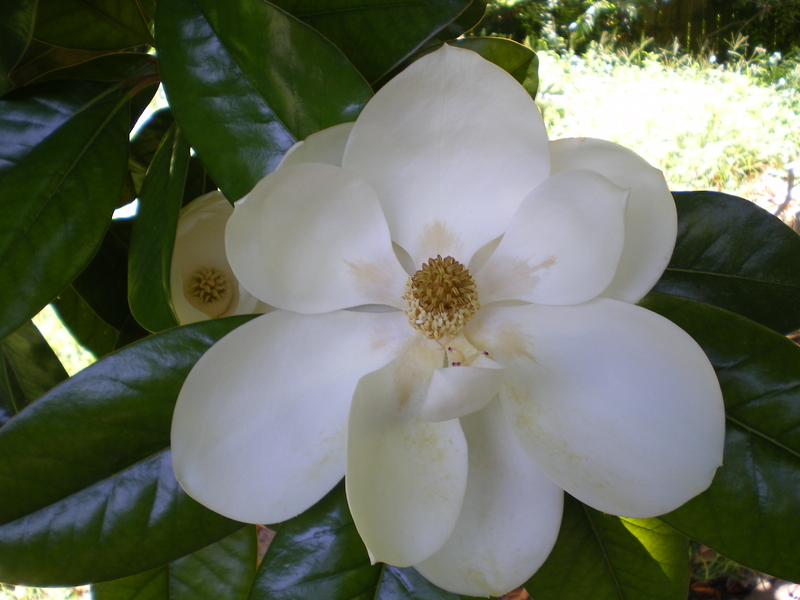 No offense to Hollywood, but when I think of the glorious South with a capital S, I think of Magnolia trees. They represent the South in all of its gardening glory more than any plant or tree I can think of. 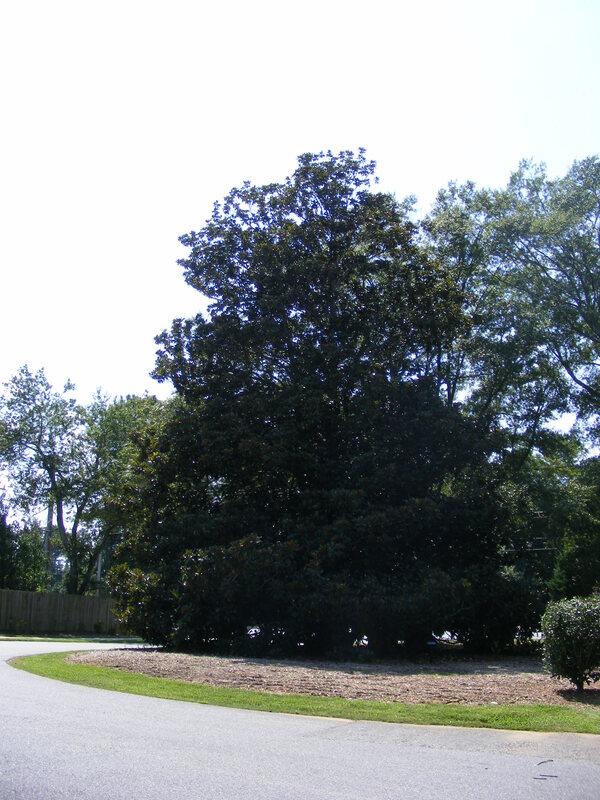 In fact, in my opinion, the Magnolia tree is the loving, sheltering grandmother of the gardening world. I only had one grandparent, my maternal grandmother. My other grandparents had died by the time I was born, and my grandmother was the only example of the older generation that I had. And boy, was she a great example! She was a very loving, strong, kind, and God-fearing woman. She persevered the last 30 years of her life, living alone after her husband had died. She taught me so many things about life, love, relationships and God. No one ever left her home hungry, sad, or without being prayed over. Even the robber, who broke down her door and was bleeding with cuts to his arm, was prayed for, by her, before he left out the door, carrying her valuables. She was a strong, resilient woman. 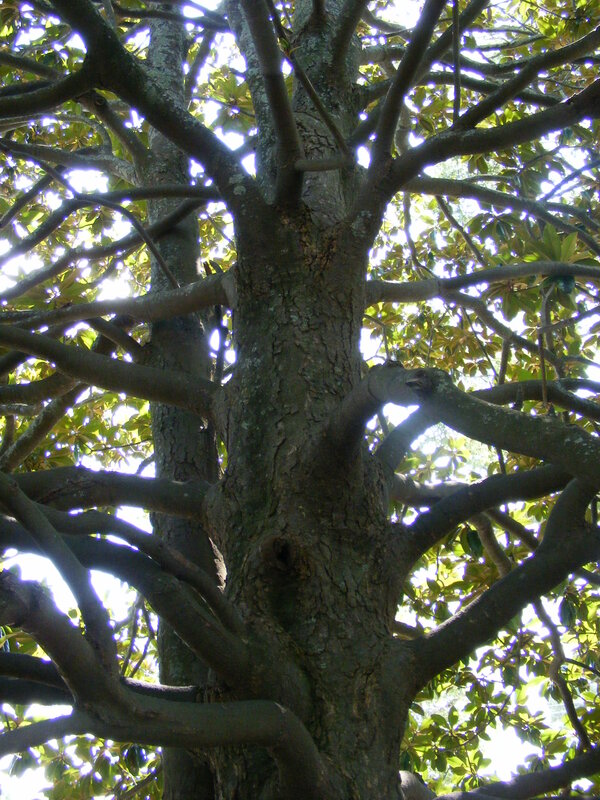 And just like my beloved grandmother, the Magnolia is strong, powerful, and resilient. Two tall, magnificent, majestic old Magnolias. And just like a loving grandmother, they sit at the park with open arms to the children of our town. And when I say open arms, I really mean it. These Magnolias have the most wonderful branch structure I have ever seen. Perfect for tree climbing! In fact, my six-year-old would rather climb the tree than slide down the play equipment. 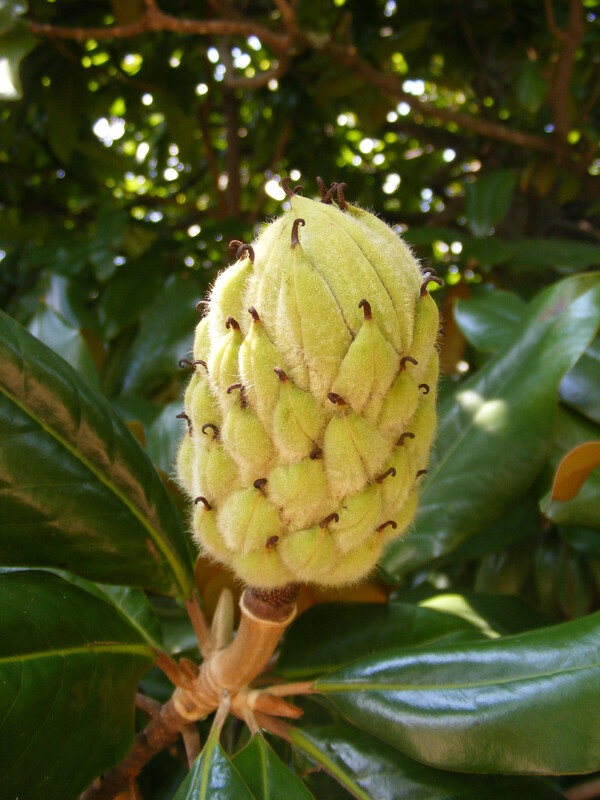 The branches on a Magnolia grow so close to the ground and their leaves are so big and full, it hides any little visitor climbing within. Perfect for a child to feel as though they have their own little fort or house. 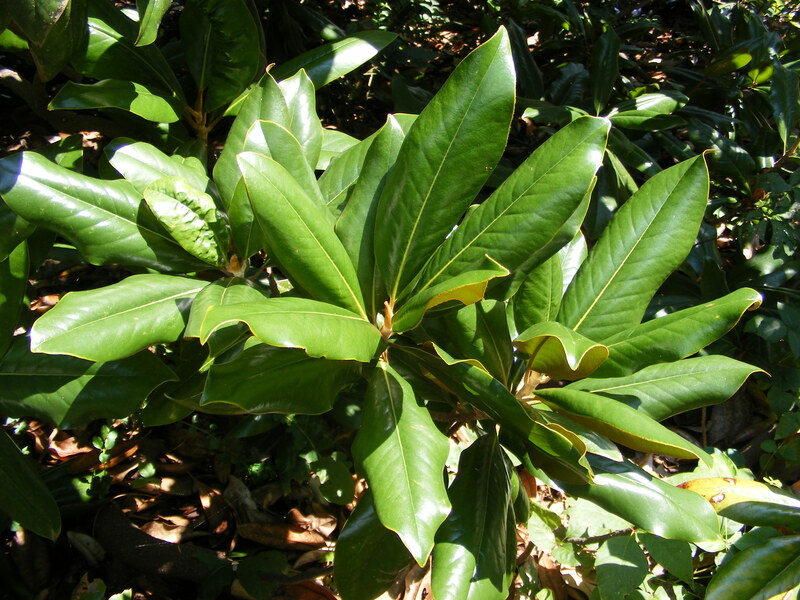 When planting a Magnolia, think long and hard before you do so. 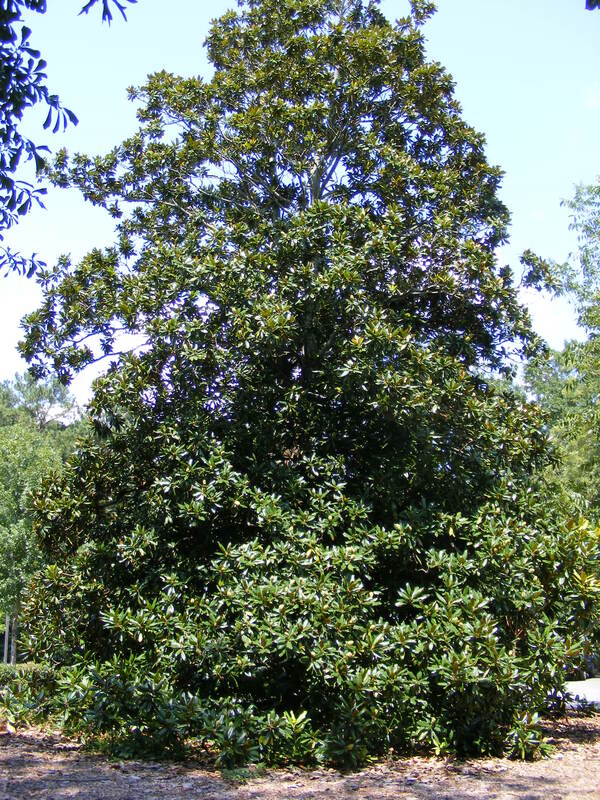 The classic evergreen Southern magnolia with large, glossy leaves and huge, fragrant white blossoms can grow gargantuan in size. 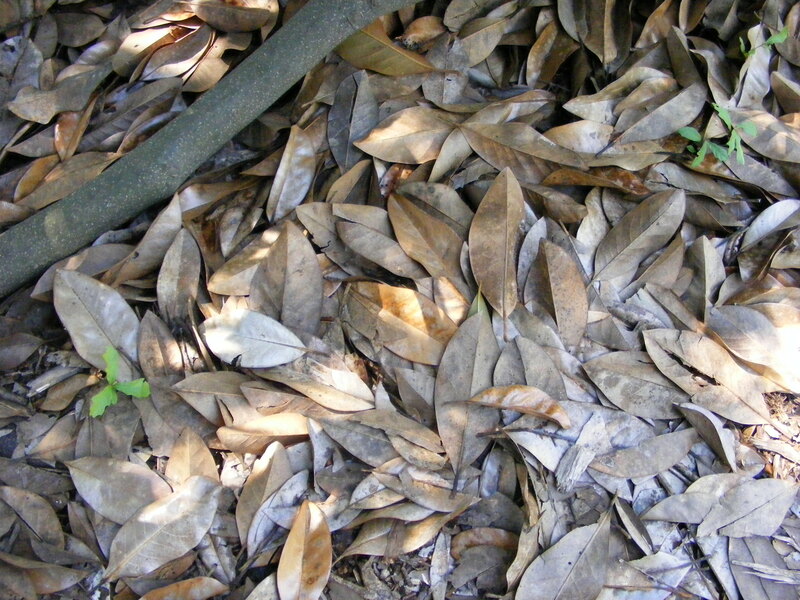 The stiff, leathery leaves cannot break down in compost, so leaving them hidden under the low branches is a good option. Grass and groundcovers cannot exist under them due to the heavy shade they create. But if you have the space, it is a Southern iconic beauty. Just like my grandmother, God rest her soul. Love to all and happy gardening!